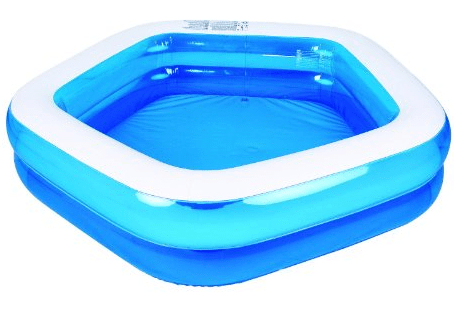 Save 53% on the Giant Inflatable Family and Kids Pentagon Pool + Free Shipping! The Kiddie Pool – Giant Inflatable Family and Kids Pentagon Pool – Almost 7 Feet Wide (79″ X 77″ X 18.5″) is on sale for $27.95 at Amazon right now. That's 53% off the list price of $59.95!